Founded in 1848 in Oxford, Mississippi, the University of Mississippi (UM), affectionately known as Ole Miss, is a public, comprehensive, top-tier or Carnegie R-1 research institution committed to the creation, dissemination, and application of knowledge through a variety of undergraduate, graduate, and professional programs as well as public service activities.Total enrollment on all campuses, including its Medical Center, stood at a record high of 23,780 in fall of 2017. Almost 60.2 percent of all students are Mississippians, and 23 percent are minorities. UM has 1095 full-time faculty on the Oxford and satellite campuses (excluding the Medical Center). The Ole Miss experience can perhaps best be defined as “personal.” When visitors come to the Oxford campus, they often describe their visits as feeling they have experienced a nurturing family atmosphere. Ole Miss is a place of individual attention and student-faculty interactions—not so big that students feel like numbers. Rather, our professors know students by name and many go the extra mile to serve as mentors to them. UM students not only gain academic knowledge but also develop interpersonal skills and are entrenched in a culture of service and leadership. Individual students have long had the opportunities to seek excellence through such challenging curriculums as found in our Patterson School of Accountancy, which is consistently ranked in the top ten in the nation; our nationally renowned School of Pharmacy, which often boasts of 100 percent pass rate by its graduates on the National Pharmacist Licensure Exam; and our pre-medicine curriculums, among other programs. In more recent years, however, the academic experiences offered to UM students have been transformed through the addition of cornerstone programs focused on providing innovative and demanding educational experiences for exceptional students. Chief among these are the Sally McDonnell Barksdale Honors College-recognized as one of the top three in the country-the Croft Institute for International Studies, and the Lott Leadership Institute. Other additions that have enhanced the student experience include our Mandarin Chinese Flagship Program and an Arabic minor in our Department of Modern Languages, which also offers majors and minors in French, German, Linguistics, Spanish, Russian, Japanese, and Italian. The intensive instruction in Arabic is extremely helpful to students studying in our new Center for Intelligence and Security Studies. Another innovative offering, the Barbour Center for Manufacturing Excellence—the only program of its kind in the nation—offers interdisciplinary training for future engineers, accountants, and business majors to collaborate and communicate effectively in the manufacturing sector. Students enjoy the environment offered by the Oxford campus, often voted the “Most Beautiful Campus inAmerica.” In addition, the City of Oxford offers rich cultural experiences thanks to a thriving local arts, music and culinary scene. The surrounding area also offers thenature enthusiast plenty of options with nearby SardisLake, Holly Springs National Forest, Strawberry PlainsAudubon Center, and numerous hiking and biking trails. 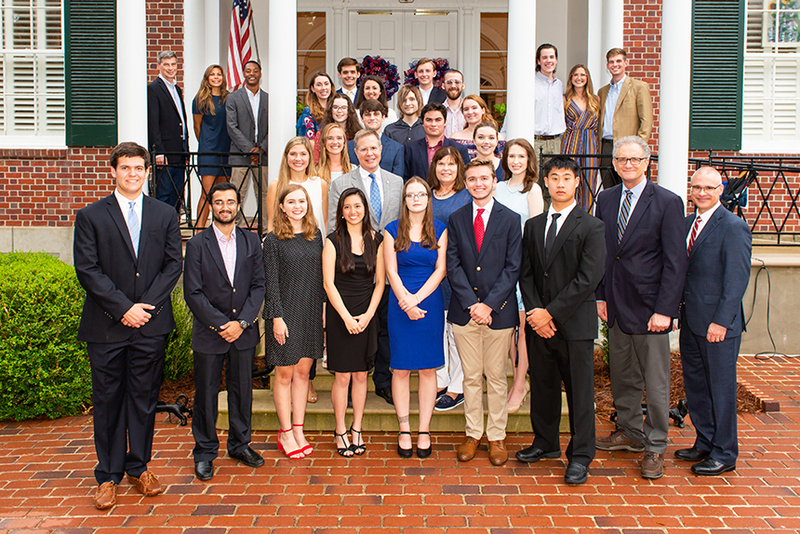 Thanks to the generosity of the Stamps Family Charitable Foundation, exceptional students at Ole Miss have the financial support to fully utilize opportunities, further enhancing their educational experiences. The Stamps Scholarships cover selected students’ full cost of attendance after need-based aid and other scholarships the recipients receive are credited to their accounts. In addition, these scholarship awards offer generous funding of $12,000 per student to be used over four years for enrichment activities such as study abroad, undergraduate research, and other enrichment experiences. The Stamps Scholarships are a part of our Chancellor’s Scholars Program, the premier merit-based scholarship program for all academic majors at UM. Established to honor excellence and recruit exceptional students, the Chancellor’s Scholars awards are presented to the top incoming freshmen who have demonstrated exceptional academic achievements and have proven leadership and service records. 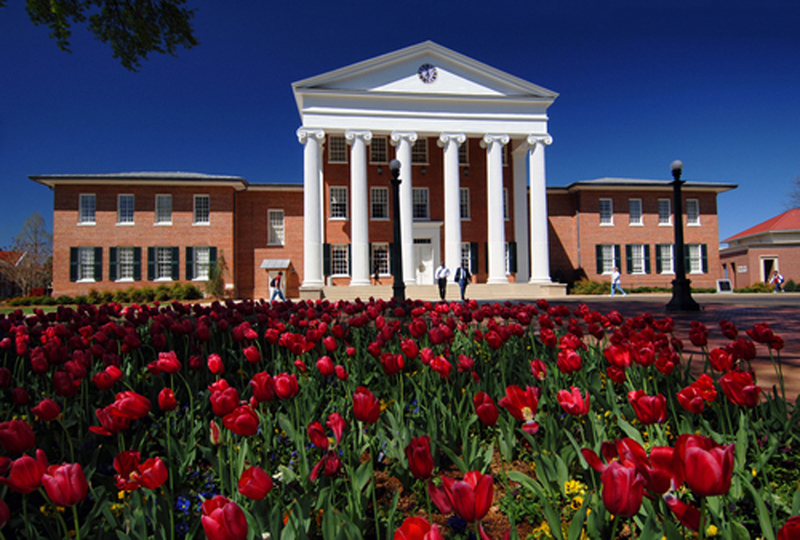 Incoming freshmen who wish to be considered for Chancellor’s Scholarships must file a University of Mississippi Admission Application and submit an online Special Programs and Scholarships Application. See http://finaid.olemiss.edu/scholarships/ for additional application information.